All petrol-driven chain saws have two sources of lubrication that enable them to perform optimally. One is the engine oil and the other, the chain/bar oil. Using the right type of chain saw oil is essential to preserving the quality of your equipment and prolonging its service life. High quality engine oil burns very cleanly, thus preventing the build up of deposits in the engine and reducing exhaust emissions. It must also have good self-mixing properties to ensure even distribution within the fuel. Choose one that is temperature-stable and can be effective in both warm and cold weather. You might also want to consider brands that contain additives which help reduce wear on the engine. Environmentally-conscious consumers can opt for biodegradable oil. The incorrect mixing ratio of oil to petrol can also cause problems! Too little oil and the engine will seize up because of insufficient lubrication; too much oil and the engine will begin to smoke and bog down. If you don’t want to go through all the fuss of measuring and mixing the oil and fuel yourself, then go for engine oil that is packaged in pre-measured containers. These can be conveniently added to a standard can of fuel to produce the exact ratio of oil to petrol desired. Getting the right chain oil is just as important as it plays a crucial role in smooth chain saw operations. Using low grade chain oil could cause the chain to constantly jam up or even come off the bar. The quality of chain oil is first judged by its viscosity. It should be rather thick and sticky as it contains “high-tack” additives that keep it on the chain rather than being thrown off as it is being released. Like high quality engine oil, superior chain oil should also exhibit good temperature stability. It is important that your engine oil maintains a steady flow in all climates, and does not start to smoke at high chain saw speeds. Some engine oils have special additives that prevent the oiled parts of the chain saw from getting stuck after extended stoppages. 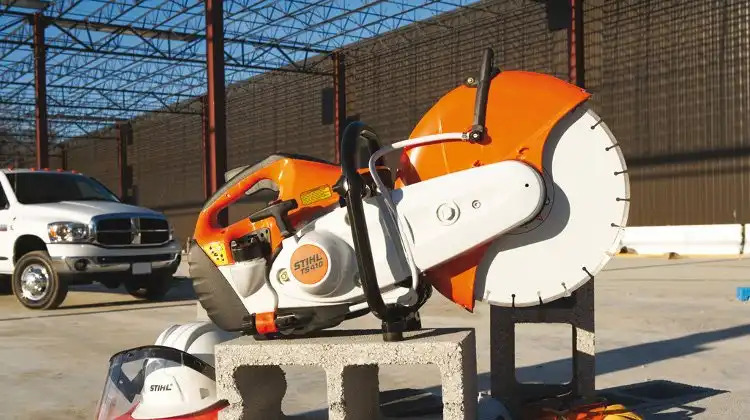 If you own more than one chain saw, it would be more convenient to buy broad-range chain saw oil that is suitable for all types of bars and chains. In any case, never substitute engine oil with motor oil or waste oil! They are completely unsuitable for chain saw usage and can cause severe damage to your power tools. Choosing the right chain saw oil will save you a lot of money from unnecessary repairs in the long run, so it really pays to do a little research to find out what is best for your chain saw. However, remember that older and newer models may differ so check your product specifications before you start shopping.